Cancer is perceived as one of the most dreadful diseases of our times. A lot of medical progress has been undertaken in this field and new findings have been brought to the forefront. This includes improved understanding of the biology of cancer, precision in diagnosis and staging of cancer and optimizing the treatment of cancer. The Hematology-Oncology department at Dr Jivraj Mehta Smarak Health Foundation (Dr Jivraj Mehta Hospital) aims at providing a comprehensive management of all kinds of cancers. 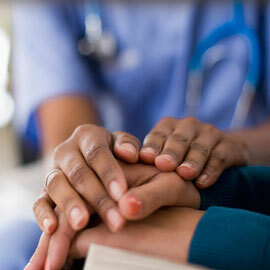 Staffed by highly experienced hemato-oncologists, the department is active in prevention and early detection of cancer. The department is involved in various social activities like awareness programs and conducting cancer detection camps. It is a part of the heath check up plan at Dr Jivraj Mehta Smarak Health Foundation (Dr Jivraj Mehta Hospital). This helps in detecting cancer of breast, uterine, cervix, prostate and mouth for curing them at an early stage.